If I ever wanted to do one of those ridiculous taxpayer-funded research projects on something like comparing burgers from a fast-food chain to burgers from a real mom & pop joint, this is where I would start. (Well, after I secured the $2 million earmark from my Congressman for bringing along his brother-in-law). At least that would be more appetizing (and valuable) than a taxpayer funded study on how to combat cow farts and their effects on global warming. I mean, who cares. The only good cow is a dead one on a buttered bun. Try that for combatting cow farts Alexandria Ocasio-Cortez! 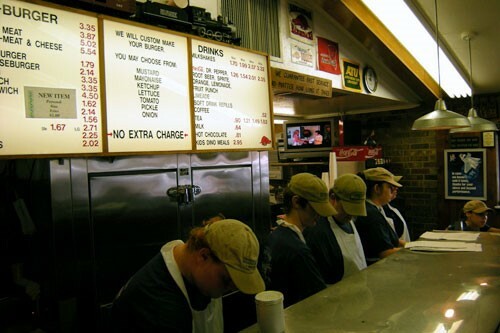 Well, even though it turned out that Feltner’s Whatta-burger shares a lot in common with the famous national chain, a fast-food joint it is not. 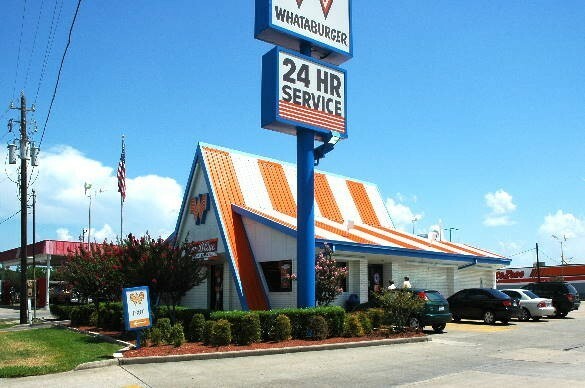 If you’ve ever traveled any stretch of I-10, you already know all about Whataburger. Its bright orange triangular-shaped building can be spotted at virtually every exit from Tucson to Jacksonville. 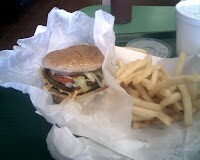 And I have to admit, for fast-food, you can do a lot worse than Whataburger. First of all, most Whataburgers are open 24 hours. For a proud American traveler, you appreciate what a godsend a 24 hour fast-food restaurant can be. In case you haven’t left the ground in the last two or three decades, they’ve long stopped serving food on planes. No meals in coach. No meals in first class. So by the time I hit the ground at midnight or 1am, I haven’t eaten in 12 hours. I’m hungry. I’m tired. Just hand me a decent burger in a sack and let me go home. On the 30 minute drive home from the airport, there are exactly two fast-food places that stay open past 9:30pm. McDonalds and Whataburger. Not much of a decision there. 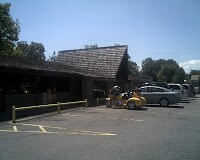 If you can overlook the lousy service, I can testify, as a frequent patron, the burgers are pretty good. 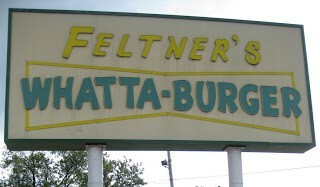 Now, my research told me that Feltner’s Whatta-burger in Arkansas has no connection, past or present, to the national Whataburger. I immediately began to question my research the moment I pulled into the parking lot. Notice a certain prominent architectural feature? Yeah. A big triangle-shaped roof over the entrance. I was suspicious. But I was relieved the moment I walked through the front door and was accosted by a young lady with a clipboard, demanding my order. Gee, they definitely don’t have service like this at my fast-food Whataburger. With the efficiency of an assembly line, the girl with the clipboard wrote my order on a white paper bag and handed it to the cashier, who then called out the order to the four perky people happily cooking and assembling all the food. A few moments later, after paying for my double-meat, double cheese Whatta-burger and fries (the exact same thing I order at the chain), my meal was handed to me in the same bag that clipboard girl wrote on just moments earlier. Happy, cheerful, friendly employees? Efficient service? An accurate order? 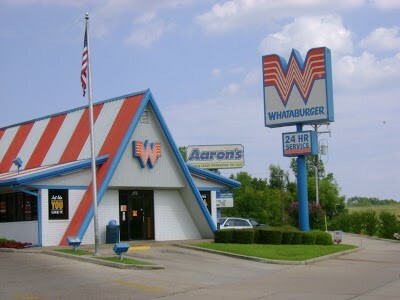 Definitely not the Whataburger I know. So you can imagine my disappointment when I unwrapped my burger and saw such a familiar sight staring right back at me – the exact same burger I eat at least once a week on my way home from the airport. 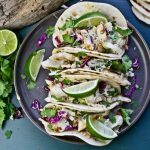 Now granted, it didn’t have that same thrown together look or taste of a fast-food burger. This one was treated with a little more homegrown TLC. But come on, it was essentially the same burger. Same bun. Same beef patties. Same condiments. Heck, the onions and lettuce were even chopped the exact same way as the fast-food chain. Obviously, there was some connection between Feltner’s and the national Whataburger at some point. It may be lost to history, but the similarities cannot be explained as coincidence alone. 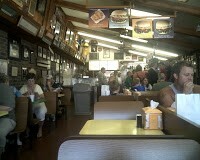 That’s why Feltner’s would be a perfect control in my fast-food study. If everything is upheld as the same – same name, same architecture, same menu, same ingredients – then what exactly does a local family-owned, independent restaurant add to the burger experience? As it turns out, despite my initial disappointment in not trying a new and different burger, I concluded that it can add a lot. It adds a sense of belonging. I may never step foot in Russellville, Arkansas again, but I can definitely say I’ve been there now. I was served by the locals and dined with them, I was surrounded by pictures and sayings that reflect who they are and what they care about. Can you say that about any one of the national fast-food chains found at the end of every exit ramp in the USA? Of course not.